Samsung is throwing its weight behind the AV1 royalty-free video compression technology that many companies see as a replacement for the older H.264 codec. The South Korean TV maker has signed on as an official member of the Alliance for Open Media, which was founded by the likes of Apple, Google and Netflix to spearhead the development of AV1. Other companies to join the alliance since its launch in 2015 include Amazon, Intel, Facebook, IBM, Microsoft and Nvidia. The new standard is said to improve on older video compression technologies including the HEVC standard that was first envisioned as a successor to H.264. AV1 also uses significantly less power than other codecs, according to its proponents. The H.264 codec is pretty old these days, having been around for almost 15 years. While it served a purpose, it’s also looking pretty outdated in a world where 4K video and virtual reality demand much higher bandwidths. AV1 is said to improve the power efficiency of video systems by up to 60% to 70% while enabling the smooth streaming of media and also new applications such as real-time video conferencing. The other main benefit of AV1 is that it’s royalty-free, meaning that all of the companies behind its development have agree to licence their patents to anyone to use. The idea is that by doing so, adoption of the codec will grow much faster. Samsung is somewhat late to the game, but it’s joining the AOMedia as a “board member”, which means it will get a big say in AV1’s future direction. The Alliance is now almost four years old, but the AV1 codec was only released in April 2018. Currently, Google, Mozilla and Netflix are all performing public tests of the codec, which is believed to outperform HEVC. However, some argue that work still needs to be done, as encoding times remain very slow. 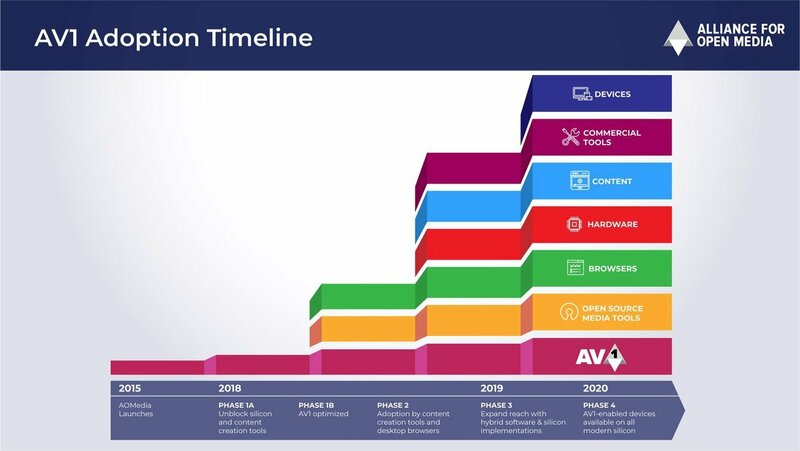 It’s likely that the first TVs to support AV1 decoding will arrive in 2020.